I find that the lotion is absorbed faster, has a more noticeable and instant effect on the skin, and I remain more aware of it for longer as I feel it working its magic through the day. Long-term results delivers the same, it not better, moisturizing effects than the forerunner - softening the skin, tightening pores and an all-day matte finish. 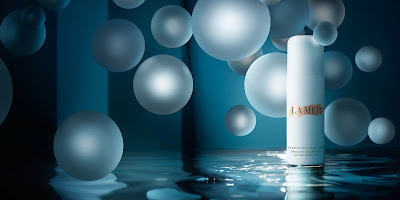 The Moisturizing Matte Lotion defies the laws of moisture with healing hydration from the sea combined with unique mattifying technology to help soften away age, shine and pores. Our smallest moisture sphere ever is suspended in a buoyant gel layer to deliver healing hydration rapidly—with a fresh finish. A sea-sourced, micro-fine powder surrounds each gel capsule, creating a Mattifying Mesh Network that works intuitively to minimize shine for a beautifully balanced, refined complexion in even the hottest, most humid climates.